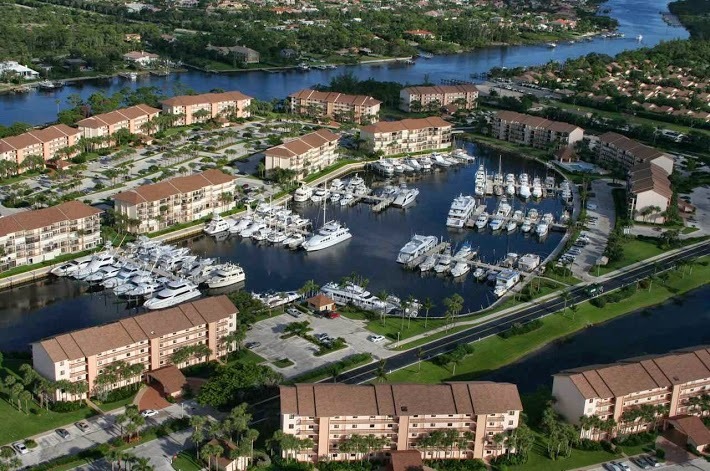 The Bluffs Marina Condos is one of Jupiter, Florida’s hidden treasures. The Bluffs Marina Condos are five story buildings and offer 1,385 square feet condos with beautiful 2 bedroom, 2 bathroom floor plans. Residents of the Bluffs Marina can dock their boat in one of the 94 boat slips that can accommodate boats up to 130 feet in the hurricane safe harbor located on site. Residents can also enjoy four heated swimming pools and tennis courts, as well as the beautiful Jupiter beaches and Juno Beach Pier that are located less than 3 miles away. For more information on Jupiter's Bluffs Marina Homes, please feel free to call or text us at (561) 371-7550, or email TheShattowGroup.